A giraffe walks past acacia trees in Nairobi National Park, Kenya. Statuesque giraffes, overlooked because they seem to be everywhere, are now vulnerable to disappearing off the face of the Earth, according to biologists who create the world's extinction watch list. 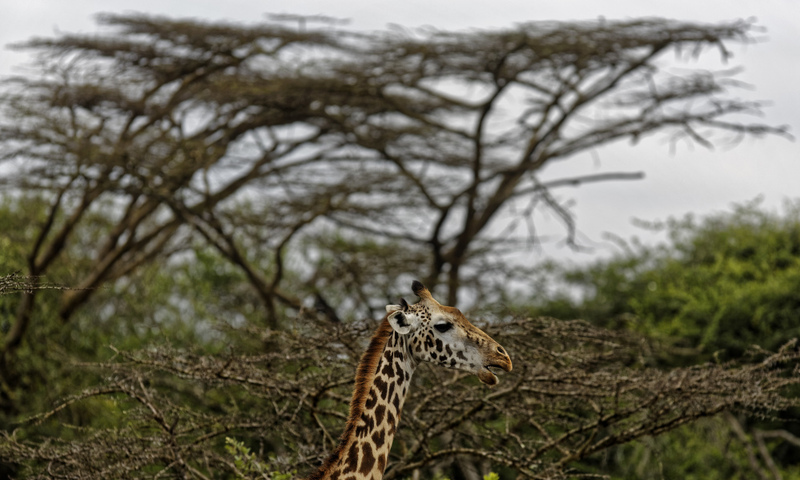 A giraffe walks past acacia trees in Nairobi National Park, Kenya. Statuesque giraffes, overlooked because they seem to be everywhere, are now vulnerable to disappearing off the face of the Earth, according to biologists who create the world’s extinction watch list.